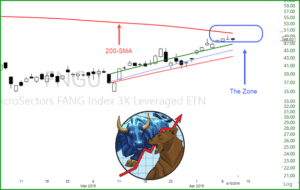 A chart I have up and on one of my monitors at all times is the FANG chart (Ticker FNGU) or FANG Index 3x Leveraged ETN FANGS stocks are (FB) (AMZN) (AAPL) (NFLX) and (GOOG). The FNGU chart has been instrumental in determining trend direction and pullbacks in the overall market. As you can see from the chart, it is approaching the 200-SMA. The 200-SMA is a moving average know for its support and resistance. More time than not I have experienced price action consolidation when price enters into the 200-SMA zone. 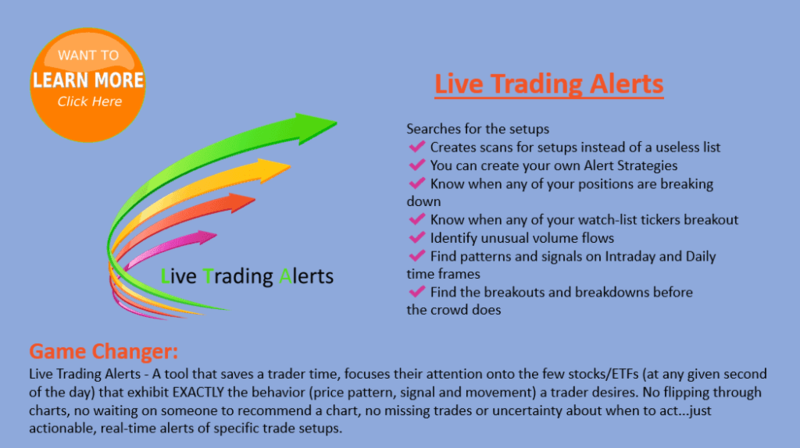 While the market is still trending bullish, we will continue to trade bullish to the long side while monitoring how price action acts on the (FNGU) chart in the 200-SMA zone.